Uniting families, educators, and communities to foster growth among our youth by…. Click here to see our agendas, minutes, and notes. Nominated staff will be called out on our Facebook page, and at every PTCA meeting, a staff member's name is randomly pulled from those nominations to receive a special gift. Two minutes of your time helps show the OES staff the huge impact they have on our staff. The PTCA is open to any parent, relative, OES staff member, or any community member that wants out students to achieve great things. Want to join the PTCA? Contact the school or stop by the PTCA to learn more! Some of the events the PTCA has supported are evening parent events, the school's RIF book program, fundraising, student service projects, in-school assemblies, community projects, and more. 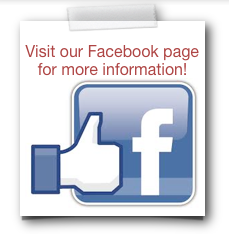 Visit this page frequently for information on current events, or visit our Facebook page. Upcoming events: penny war....afternoon matinee...and a whole lot more! Check us out on Facebook for details!